Note: This page on how to read schematics is a very simple introduction covering the basics of reading schematics. Wires connect symbol pins defining connections in the real circuit. 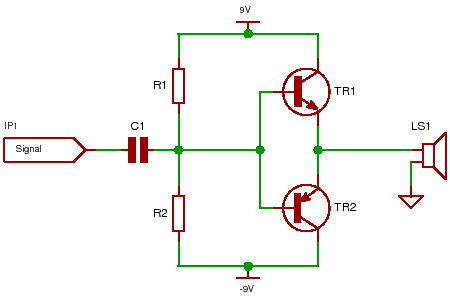 Jump to Simple schematic: Example. Jump to Simple schematic: Good practice. Jump to Simple schematic: Values. Each component in the circuit is represented by exactly one symbol in the schematic and the schematic lets you understand the operation of the circuit by showing how each component is connected. Note: To fully understand the schematic you need to understand thebasic operation of each component. Note: There are two symbols for the capacitor and either is acceptable for use - in general there may be several different symbols for a component but they will look more or less the same (there are also more for the transistor - not shown -but they always have the arrow). The symbols show the component'sinternal structure for more information about the circuit operation. They give you just enough information to understand how the circuit operates i.e. they give a broad overview of circuit operation. For this broad overviewits not necessary to know componentdetail (in a large circuit you would be overwhelmed by the data - even for an old BC109 transistor there are about 30 parameters). This is where the design document is needed - for describing detailed circuit operation. Different components that fall into the same component class are all described by the same schematic symbol e.g. different type transistors or different power resistors - they may all have very different physical shapes but each class is represented by one symbol. This simplifies the schematic so that it is easy to understand (not too much detailed information). The capacitor symbol just shows two separated plates - which is all a capacitor is made of (separated by the dielectric). In fact the 'real' capacitor could be chosen from any number of different capacitor types depending on what you need the circuit to do e.g. high stability, low cost, high voltage. Other examples are transistors and again the same symbol will represent many different components e.g. metal cased, plastic cased, different pinouts etc. This is because the fundamental operation of the transistor can be represented by one symbol and this symbol lets the designer know how the circuit operates. The point is that all these different components use the same schematic symbol so that you can concentrate on what the circuit does rather than the component details. Detailed operation of the circuit should be written down in a separate document that describes how each part of the circuit works. It should detail any tricky parts of the circuit i.e. non-obvious circuit operation. This along with the schematic lets another designer understand how the circuit is intended to operate. One very important point in reading schematics is recognizing blocks of circuitry. This will come naturally as you become familiar with building and using circuits and as you do so you'll notice popular circuit configurations or popular device types e.g. a relay driver circuit or an RS232 level shifter MAX232. Once you have used them you will recognize them in future which makes reading schematics much easier. A good reference book will also show you standard building blocks - especially transistor circuit blocks e.g. switching, amplifiers, long-tailed-pairs, current mirrors etc. Note the absolute best bible on electronics is 'The art of electronics' by Horowitz and Hill. I bought this book at university a while ago! (1987) and it is still as useful today. In fact it is still so useful that I have started re-binding it - the front cover fell off in overuse (it was a paperback)! It covers all the basic electronics from using diodes to transistors to computers and many subjects in-between. The following schematic shows the outline design of a push - pull amplifier (standard transistor building block). This is an incomplete design just used as a schematic example (not to be built). Wires are represented here by green lines indicating connections i.e 'real' circuit connections. Note: Connections dots connect wires together (horizontal and vertical wires at point X are connected together. If there was no connection dot at point X then that would indicate two separate wires. When wires cross over at right angles (perpendicular to each other) without a connection dot then they do not connect. With no dot both resistors would connect and separately the capacitor and transistors would connect. Note: its not a very usable circuit so don't build it! (you need diode to bias the transistors) and component values! In a good schematic the operation of the circuit is clear - as you can see here the logical flow of operation of the circuit is from left to right (the dotted arrow shows circuit operation from input to output). If you see schematics that are not arranged logically then they are much harder to read. Usually inputs are placed on the left and outputs on the right. Sometimes this is not always possible but it improves readability. Note: One way out of drawing the circuit from left to right is to draw part of the circuit within a dotted box and label the box with the circuit's function. This lets you read the circuit more easily (some of the circuits on this site use this method). In the above schematic the input 'Signal' goes through a capacitor past some resistors and through two transistors and then to the loudspeaker. The operation of the circuit is clearly from left to right. Note: Using a schematic drawing tool greatly increases the readability of the circuit - you can find some just terrible diagrams that you can hardly read on the web - these are hand drawn and scrappy and virtually impossible to use and they give you no confidence that the circuit will work. If you can't read it properly then maybe the author could not! The other great advantage in using a schematic tool is that you don't need to rub anything out and squeeze new components between symbols you have previously drawn and you can build new schematics based on your existing designs. The next part of reading the schematic is to identify components. There must be one instance of each component on the schematic so a good tool will let you check the schematic for duplicate parts (that you may have added accidentally yourself). Each schematic component corresponds to a physical component in the circuit so the identifier has to be unique. Each part is prefixed with the base type of the part so for capacitors the prefix is usually C and for resistors it is R. Transistors are either Q or TR but you can use any prefix you like. The following diagram has all the prefixes for each component. The prefix is followed by a number and uniquely identifies the component. The next part of reading the schematic is to identify component values. These are the values that the designer used for the circuit to make it operate correctly. They are the value assigned to a particular component e.g. resistance for a resistor or they are the specify the component type name e.g. a BC109 for TR1 - BC109 is the specific transistor to use. Forms of notation for components R, C and L.
Note: This is not a designed circuit so don't build it! There should also be a Bill Of Materials (or BOM) to go with the schematic if the schematic has more than about 30 components. The BOM details how many components there are and what their values are.